Limone Piemonte's development and fame have arisen thanks to its splendid geographical position, between the Ligurian Riviera, the Cote d'Azur and Piedmont. Thus Limone Piemonte, the name of which derives from the strong ties with the Cote d'Azur, has been a holiday destination since the 1800's and one of the first Italian localities to promote winter sports. 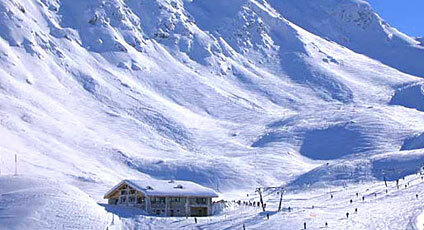 The area of Limone Piemonte dedicated to ski-ing is called Riserva Bianca with over 80 km of ski slopes. Visitors can practice many other sports golf in the Valley of San Bernardo, bowls, mountaineering through the Lu Viasol. To see: the Parish Church of St Pietro in Vincoli, the 16th century fountain in Piazza del Municipio, Casa Canonical, the Church del Convento. Well worth visiting in the immediate vicinity: Limonetto, L'Alpe di Papa Giovanni, the Napoleonic Gallery, the 19th century fortifications and the house built by the Templars. Events include the Fair of the Antica Contea di Tenda and the Abaya Festival in costume. Local cuisine features the famous Basìn d'Limun.